I loved this movie and Miranda entertained me. 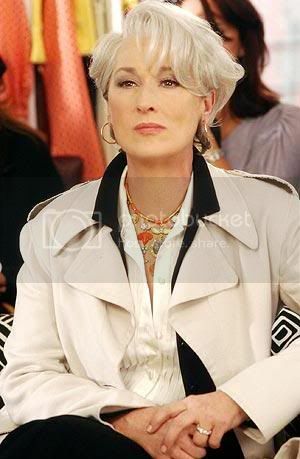 It's probably one of my favorite roles for Meryl Streep. She was such a HBIC. Miranda was scary, knew what she wanted, and made sure everything met her standards. That's pretty kickass. At the same time, she did love her children, and was vulnerable, as shown in the Paris scene after her husband left her. Hell, she even softened somewhat for Andrea. The end, where she gave Andrea the recommendation and the little smile in the car after she saw her? Sweet. Ooooooooooooooooooooooooh I'll do the gilmore girls one too!! !